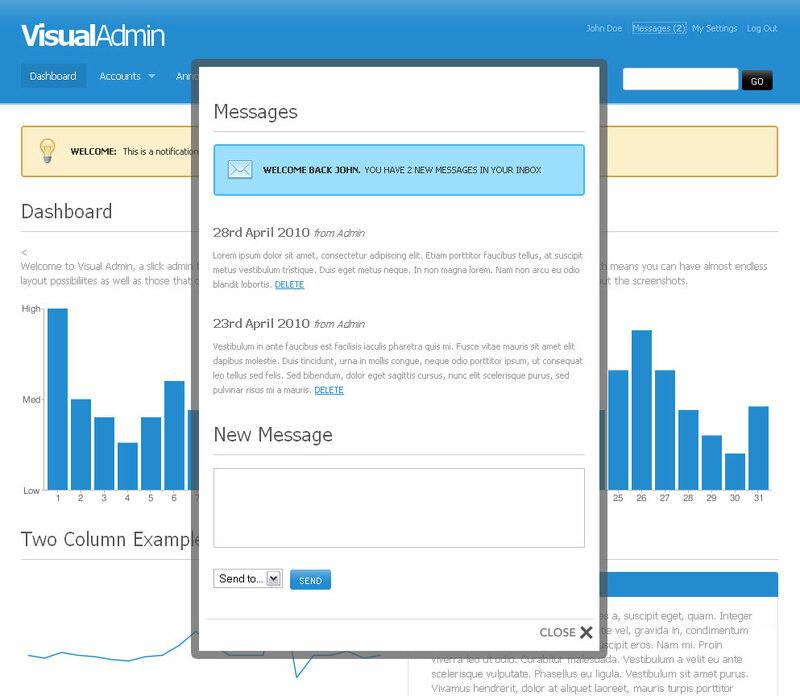 Visual Admin is a stylish template designed for both front end and back end projects. 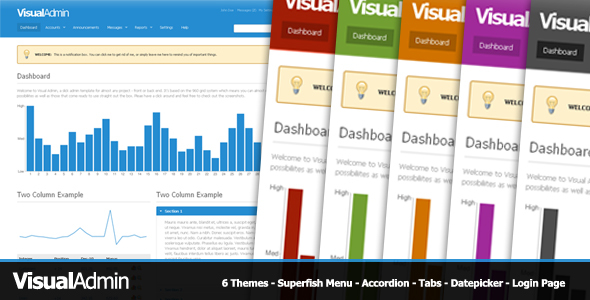 It comes with a seperate login page, and being designed with the 960 grid system if offers endless layout options. Using Google Charts, the template shows off how this template could be used as a dashboard or even a front-end application. This file has been updated to include pagination and an image gallery (with working lightbox). Please be sure to check out the demo and also the screenshots to see all the themes and a code sample.